It’s National Mosquito Awareness Week! Happy National Mosquito Awareness Week! Is your company doing anything special to celebrate? To mark the occasion, the American Mosquito Control Association released a few tips for mosquito control and prevention for pest management professionals to use and share. One of the easiest and most crucial thing to do is to remove any stagnant water you have around your property, the AMCA went on to say. Empty pots, tarps, tools and trash cans of any water that has collected as they are all breeding grounds for mosquitoes. 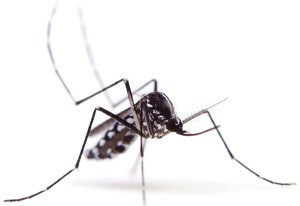 If a mosquito problem already exists, AMCA recommends controlling adult mosquitoes through mosquito traps, space sprays and vegetation management. “Eliminating standing water is probably the most important thing to remember when preventing or controlling mosquito problems. Keep it in the back of your mind during all outdoor activities – even remember to irrigate lawns and gardens carefully to prevent water from standing for several days,” added Conlon.